Different agencies specialize in different areas and there are some agencies that emphasize lower-skilled positions. However, companies of all sizes and industries will tell you that they have a hard time finding “good candidates,” and this applies to every skill and experience level. From a strictly financial perspective, the higher the skill required, the more a company is willing to pay a recruiter to help find the right candidate. 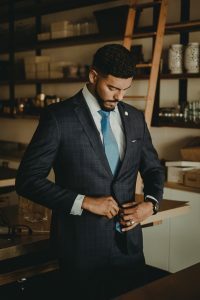 Senior level positions (CEO, President, Vice President) are often filled by agencies who specialize in only that type of recruiting and charge big fees for those services. On the staffing side, experienced project managers, or experts in Security, Compliance, Salesforce, or SAP are all in high demand and staffing companies are eager to work with these individuals to get them top dollar for their skills. While the number of available positions for these skills is generally low, the companies that need them are willing to pay competitively for the right candidate. There are a lot of industry terms in the recruiting and staffing world. If you want to learn more, refer to this glossary of recruiting terms that we’ve been building.